We have several Casino Event Decorations. 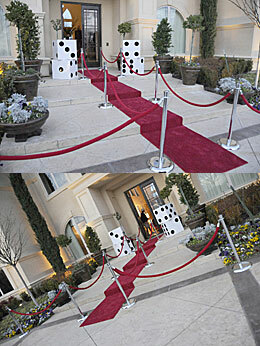 See our Rope and stantions with red carpet. Another unique casino decoration - Over Size Dice. Call for additional details.